After a career spanning ten years as the CEO of the Foundation for Podiatric Medicine and overseeing the largest annual podiatric clinical conference in the country, I still wasn't emotionally ready to address my own foot health problems. Years later in an online search I located Dr. Pedram Hendizadeh whose credentials included a residency at the renowned Kern Hospital in Michigan and research in correcting hallux valgus in the geriatric population. Dr. Hendizadeh helped me get past my fears and build the confidence needed to address my serious foot deformities. His gracious chair side manner, careful evaluation, and diligent post-operative follow-up resulted in foot freedom for which I am so grateful. I can now try on shoes without having to squeeze and massage my feet to get into them and can walk and exercise without getting bunion and hammertoe blisters. Dr. Hendizadeh's skills, courtesy and professionalism have contributed beautifully to my overall health and well-being. When you are lying in bed in the morning, after a supposed good night's sleep, and your foot hurts, something's wrong. My husband, after hearing my complaints, took charge and did all the research, both on the Internet and by calling other physicians. The strength of the referrals led us to Dr. Hendizadeh by more than one source. Despite all my apprehension, (and horror stories from friends about the procedure), we scheduled an appointment with Dr. Hendizadeh. With my husband by my side, and after only a 10 minute consultation we both had the confidence that Dr. Hendizadeh was the right doctor for my left foot!!!! The surgery took place in a local, spa-like quasi-hospital setting. Everyone was so friendly and comforting. Dr. Hendizadeh came to see me before the surgery and could not have been more kind and caring. I had complete confidence in him which made me feel less nervous. Both Dr. Hendizadeh and his staff were in frequent contact with me by phone after the operation. Sure there was discomfort but it was manageable. I was grateful that the "agony of de-foot" was soon over. I recently had foot surgery to fix a bunion and rotated pinky toe which I have suffered from for many years. I have seen a few podiatrists in the past, all of whom were cranky and had unpleasant bedside manners so I never felt comfortable with them and would not let them do the surgery. I looked in the Yellow Pages and found Dr Hendizadeh! 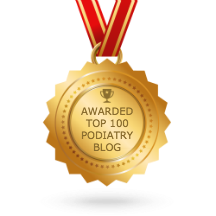 I was impressed, he was not like any of the other podiatrists that I had visited in the past. He is very knowledgeable and passionate about what he does. He examined my feet thoroughly and handled my feet gently and with such care. Dr Hendizadeh did the surgery on my foot and it has been very successful. Before and after the surgery he took the time to explain things and always has the time to answer any questions. Dr Hendizadeh called me personally the day after the surgery to check in and make sure I was doing okay. He and his office staff are amazing. The after surgery care instructions they gave me were very clear and detailed and made my recovery easier. Dr. Hendezadeh and his office staff made even the experience of surgery pleasant. They really make a wonderful team. My son is also a patient of Dr Hendizadeh and he commented to me recently that the office staff is so friendly and welcoming. They truly do go above and beyond. For example, I was speaking to the receptionist,Constantina, that the route that I was taking from work seemed like the long way around, then, without me asking she printed out Google Maps directions from my work place to their office. I drove it this past Tuesday and it cut my travel time almost in half. I am so glad that Dr Hendizadeh is my podiatrist and I would highly recommend him to anyone and everyone with foot pain or problems. I have suffered from hammertoe for many years and my previous podiatrist did 3 surgeries on my foot without success. I recently switched to Dr Hendizadeh in Roslyn, NY and he immediately understood what I was talking about with regard to my foot. Dr Hendizadeh operated on my toe and not only fixed the hammertoe but also took care of the aestheics. I highly recommend Dr Hendizadeh at Associated Podiatrists for his expert care and wonderful office staff and nurses. My podiatric surgeon, Dr. Pedram Hendizadeh , saved the day by simply writing "YES" on the correct foot and drawing arrows pointing to the digits that were to be operated on. Because of a previous surgery the admissions desk at the surgical center had filled out paperwork relating to the wrong foot, and the pre-op nurse had included an extra digit. I am really glad that my doctor was on his toes! I had been suffering from the most unsightly toenails for 30 years. I tried so many different creams, lotions, and even took Lamasil and Sporonox many years ago. Nothing ever really worked. My nails looked marginally better. I decided to make an appointment with Dr. Hendizadeh after reading an article in a local magazine about Patholase Pinpointe Laser system for Nail Fungus. The painless procedure took just less than 1 hour. A couple of months later I started to see my nails grow out clearer. About 8 months later my fungus was completely gone. It was a true Miracle. Nothing else worked for my horrible nails. I still see Dr. Hendizadeh for follow up and now that is is been 18 months since my laser treatment I am have the utmost confidence in Dr. Hendizadeh and the staff at Associated Podiatrists. Thank you. Dr. Hendizadeh is my Podiatrist. I highly recommend him.He has performed two bunion surgeries for me. They were both successful. I've had no regrets. Dr. Hendizadeh is a very professional doctor and is an excellent surgeon. With that excellence comes a warm and kind personality. I highly recommend Dr. Pedram A. Hendizadeh as a podiatrist. I no longer suffer from the extreme foot pain that brought me to Associated Podiatrists. Dr. Hendizadeh operated and corrected my anomalies of both feet; my right foot in 2007 and my left foot in 2008. The deformities are gone; my feet have been reconstructed to the degree that I can now wear shoes, drive a car, walk several miles at one time, dance if I care to, stand for long periods of time (especially in the kitchen), and simply stated, I have regained my life...pain free thanks to Dr. Hendizadeh's skills, caring and compassion. The staff at the office is just as lovely, and make a Dr's visit a most pleasant experience. I have always been treated with courtesy and respect, and I can only hope others with any foot difficulties will find their way to this office. They will be well cared for, as was I. "I had toenail fungus for about 2 1/2 years. I tried every home remedy as well as topical cream, but nothing worked. My dermatologist talked me into taking a prescription drug called Lamisil. Even though I was totally against taking the drug, I decided to do it because I couldn't stand the look of my feet any longer. Just when I began the Lamisil, I went to see Dr. Hendizadeh and he told me about a laser procedure that would kill the fungus. I was beyond thrilled and decided to have the procedure. It took a few painless minutes and within a few months my toes were perfect. I'm so happy to have had the laser procedure and would definitely recommend it to everyone. The best part was that I didn't have to take the Lamisil!" "On November 14th I had an accident involving my big toe and a counter top. Needless to say, my big toe was the loser! My parent's drove me to the emergency room, and I wound up being examined and eventually was referred to Dr. Pedram Hendizadeh in Fairfield. I always look on the bright side of things. Thank goodness only one toe and one foot was injured. Thank goodness I was treated quickly, and thank goodness I was referred to Dr. Hendizadeh. The treatment lasted 17 weeks and I wore a boot and a bone stimulator ten hours a day for 74 days. I am relieved and happy to have my toe, to be able to walk properly again, and to have shoes that fit. It was a fortuitous decision to go to St. Vincent Emergency room and I was lucky to be referred to see Dr. Hendizadeh. It should be good for you to know that doctors that you recommend are truly good people doing a great job." 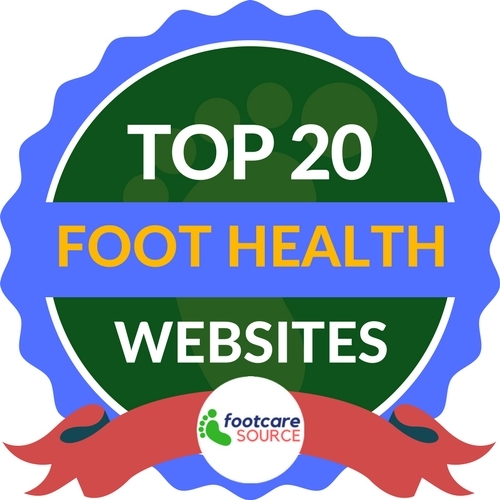 "I have been a Type 1 Diabetic for the past thirty years and have always appreciated that proper foot care is important to maintain a healthy and normal lifestyle. Dr. Hendizadeh has proven to provide expert preventive maintenance and advice on avoiding any complications. Problems were caught early and dealt with in a professional, caring and cautious manner, always thinking about ensuring proper foot health for the future. He never made any radical or hurried decisions, and took the time to explain the details of the situations and my options. Any decisions or recommendations he has made always took into consideration my overall health. In addition, the office staff has been exceptionally friendly and helpful. I trust Dr. Hendizadeh and he has prevented complications from Type 1 Diabetes from negatively affecting my life." "I would like to thank each and every one for the wonderful care I received when I fractured my foot this past spring. This was a totally new experience for me, as I had never had a broken bone in my life, but the doctor and staff alleviated any fears I might have had. I would highly recommend Dr. Hendizadeh for anyone with feet issues, whether it's a fracture or pain." "I had foot surgery for bunions in June 2005 and I am very pleased with results. Dr. Hendizadeh was very competent and understanding during my recovery process. I was so happy with the final results of my first surgery that I am having my other foot done in January 2006." "For more than 35 years I experienced excruciating foot pain. During those years, every podiatrist I visited told me that there was nothing that could be done and I would have to live with the pain. My feet became so painful that I could not walk more than a few feet. My ankles looked like giant grapefruits. My blood pressure became extremely elevated. Fortunately, I discovered Dr. Hendizadeh. He informed me that he could perform surgery that could relieve a majority of my pain. After his performing surgery on my feet, I found that he had understated the results. I have virtually no foot pain! I am able to walk for miles, stand for hours, have normal-sized ankles, and my blood pressure has returned to normal. To say the least, I am ecstatic with the results! I would heartily recommend that anyone with foot problems arrange a visit with Dr. Hendizadeh and his staff. Their expertise, care and concern for their patients will certainly make your visit worthwhile." "We have been patients of Dr. Hendizadeh's for a few years and have been very pleased with his knowledgeable care and expertise, especially for some unusual issues that have come along concerning my son. We travel from Stamford to Fairfield because of the friendliness and care of the doctors and the staff." "Thankfully I saw Associated Podiatrists of Fairfield's advertisement in the local paper about treatment for heel pain. I have suffered with Plantar Fasciitis for a long time and had tried all the conservative therapy that was available and certainly did not want to face surgery. I made an appointment with Dr. Hendizadeh and he was the only person who even offered an alternative to surgery for me. I underwent a simple, painless procedure known as shock wave therapy and have not been plagued by this painful condition since. He and his office staff were extremely accommodating to me and were very pleasant to deal with. I would highly recommend this procedure to anyone who has suffered with Plantar Fasciitis and has tried all conservative therapies available without a successful outcome." "I have diabetes and have been seeing Dr. Hendizadeh as a patient for five years. On two occasions I have had foot surgery performed by Dr. Hendizadeh. I am very pleased with the care I have received."